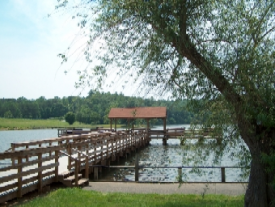 Chris Greene Lake has 2 beaches for fresh water swimming from Memorial Day-Labor Day. The beach offers lifeguards, full bathroom facilities including showers, and a snack bar to help you enjoy a day relaxing in the sun. 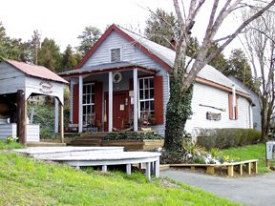 Guests can also fish, boat (no gas motors permitted), rent canoes, picnic, or hike at the park. There’s even a 1-acre fenced area for dogs to run off-leash and roped water access only for dogs to swim. For specific park hours, please visit their website. Pack your lunch, drinks and sunscreen, and enjoy a day with Outdoor Adventure Experiences tubing down the Shenandoah River. Guests will begin the journey on their own tube, while guides bring a giant tube for all to play on as they float down the deeper, slower sections of the river. 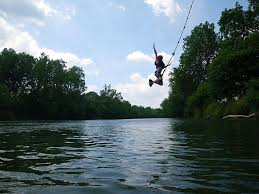 Make plans now to explore the beautiful Shenandoah River in a fun canoe, kayak, raft or tube at Massanutten Adventures! Spend the day floating down the river with James River Runners. Whether hanging out on a tube or paddling a kayak, canoe or raft, you’re sure to your time on the James. Don’t forget to pack a picnic & grab your fishing rod! 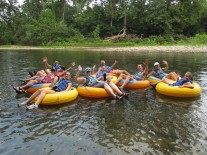 James River Reeling & Rafting offers great flexibility for those seeking excitement or relaxation. Choose from Class I, II or III rapids, spanning more than 50 miles! Each canoeing trip offers Smallmouth Bass fishing, so be sure to pack the fishing pole and cooler as you spend the day on the James!